west, burt ward, the joker, penguin, riddler and of course the always hot catwoman. 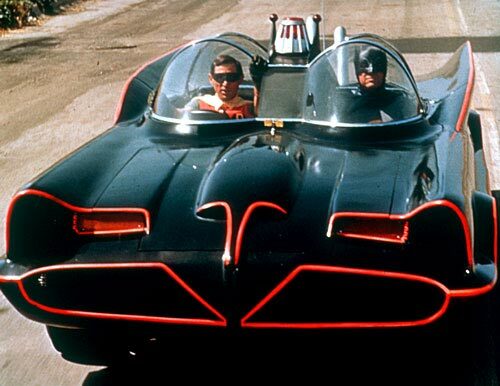 my question is, if there's a batmobile (cost 30 grand to build in 1966), a batboat, a batcopter and the batcave, what happens when batman gets horny? would it be a bat-on? would be equivalent to having Hanks, Carrey, Gibson, Kidman, and Roberts playing the villians today..
Holy bat$hit... You guys and your bat pictures are making me ever so h..ny! The pictures of catwoman are batlicious! I think I'm gonna have to go rub my breasts some more. I am starting to oooze my natural juices if ya' know what I mean. As much Batfun as the thread has been best send it to the Bat Room also known as the RR. Lest we get accused of favortism. I am starting to oooze my natural juices if ya' know what I mean.